Geralt’s journey might be over, but that doesn’t mean there aren’t still loose ends to tie up. With Witcher series developer CD Projekt off paving Cyberpunk 2077's neon-lit streets, modders have taken it upon themselves to give The Witcher 3 a fan-made epilogue. Using The Witcher 2. 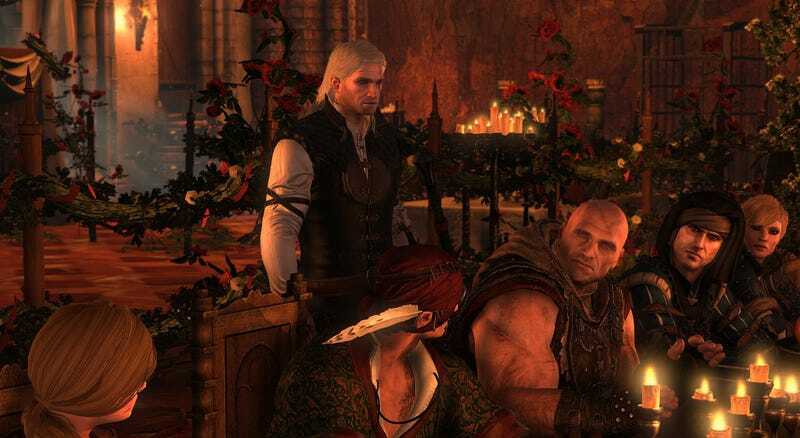 “Farewell of the White Wolf” is a mod set after the events of Witcher 3, but it’s being made from reconstituted flesh and bones of a game that came before. Why Witcher 2? Because its mod tools are more robust, allowing the developers to create their own quests, environments, and dialogue to tell a story about Geralt’s marriage to longtime lover Yennefer (sorry, Triss fans). Set in a wintry version of Witcher fort Kaer Morhen, the mod’s plot will take place over the course of three days and include “unexpected guests,” “interesting stories,” and—despite the whole marriage thing—“more than just one romance.” Hopefully, Geralt’s true love, his bathtub, will somehow be involved. Tense conversations, familiar faces, and even some briefly shirtless Geralt action—this one seems on track to tick quite a few boxes. Admittedly, the dialogue seems kinda wonky, but English isn’t the four-person development team’s first language. The mod’s been in development since 2016, and its creators say that, at this point, it’s nearly done. If all goes according to plan, it’ll be out later this year.